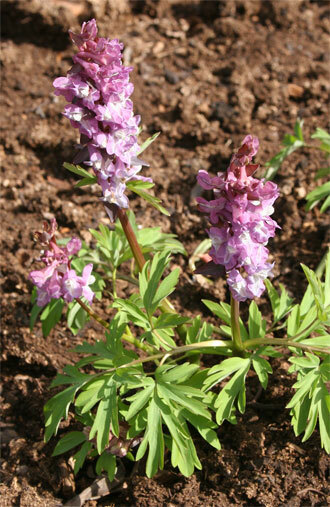 This Corydalis is larger than Corydalis solida and appears from unusual shaped tubers. It will naturalise in the garden when happy with variation in the seedling colours. It prefers a shady well drained border with extra humus. Plant 8cm deep. 18cm tall.